Ohhh, I love it! <3 I love how you used a lot of different materials, but creating a very harmonious look! I especially love your ribbon roses! get to the yummy bit. This one has photos, but it doesn't mention the special foot. This other tutorial does, though, but without photos. How come they already had holes? It's so cool, I've never seen that! And the first one I don't have any idea of what it is! 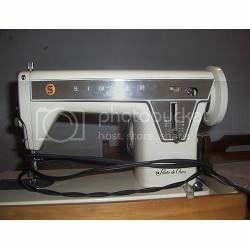 Can anyone help this sewing machine noob? I love the caption as well! How did you transfer the images and text to the card? Gorgeous dresses, I love them all! But my favorites are January 08 and August 08. Omigod! Your boyfriend is transparent!